We are in the business of building relationships. With 81% repeat business, our 47 year old building company is dedicated to exceeding customer expectations. Concrete, security glass, and electronic controls were advanced features introduced in the new construction we completed for the Macomb County Jail in 1987. The $27 million award-winning expansion was completed ahead of schedule and under budget, even though four additional floors were added to the project after construction started. The new construction of Dakota High School in Macomb, Michigan, in 1994 was, at 398,000 square feet, one of our largest projects at that time. The project came in on budget and, at $42 million, cost only $109 per square foot—$30 less per square foot than its closest comparable. We like to take on unique projects, and embrace the challenge of creating new construction models and pioneering solutions. 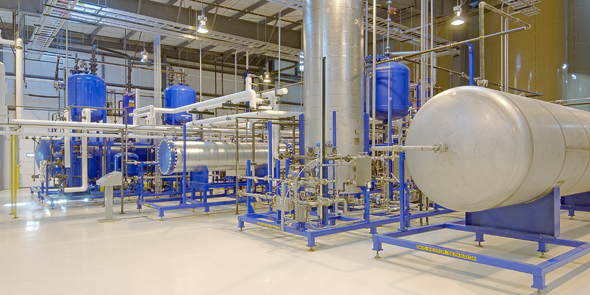 In 2009, DeMaria built the NextDiesel biodiesel manufacturing and administrative facility in Adrian, Michigan. The project cost $11 million and included development of a 25-acre site and provisions to allow the plant to double its output over time to 40 millions gallons a year without expanding the existing facility. 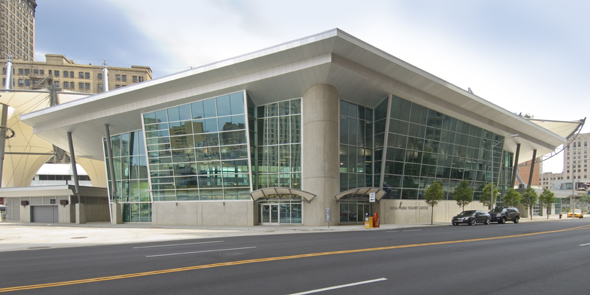 The 25,000 square foot Rosa Parks Transit Center in downtown Detroit is an award-winning project that DeMaria completed in 2009 for $13 million. The transportation center’s beauty and high craftsmanship is a testament to our love for the Motor City. We have been working on LEED-compliant sites for many years. Our first certified building was the LEED Silver-rated Consumers Energy Livingston County Service Center, built in 2010. We are also experienced with building sustainable systems like green roofs, underground geothermals, and DIRTT system walls. DeMaria has worked as a contractor for local, state, and federal governments for 41 years. We began our ongoing partnership with the US Department of Veterans Affairs in 1994 when we renovated and completed new construction at the VA’s Ann Arbor location. Since then we have built a variety of VA facilities all over the country, including in Togus, ME; Palo Alto, CA; and Columbus, OH. We take a proactive approach to safety, providing specialized training through the AGC, CAM and the Michigan Occupational Safety and Health Administration (MIOSHA). We require site-specific training for all field workers before they begin work on a project. All operations employees are required to complete 30 Hour OSHA Certification. Our goal for each project is to have zero accidents, incidents, injuries, or citations. Our low EMR of 0.61 is better than the industry standard and testament to our efforts to keep people safe. Crain’s Detroit Business ranked DeMaria as #12 on their Largest General Contractor list in 2015. We have also been honored for 16 years as one of Detroit’s 101 Best and Brightest businesses to work for. We have been working hard for 49 years to make our family-owned business a leader in the construction industry.